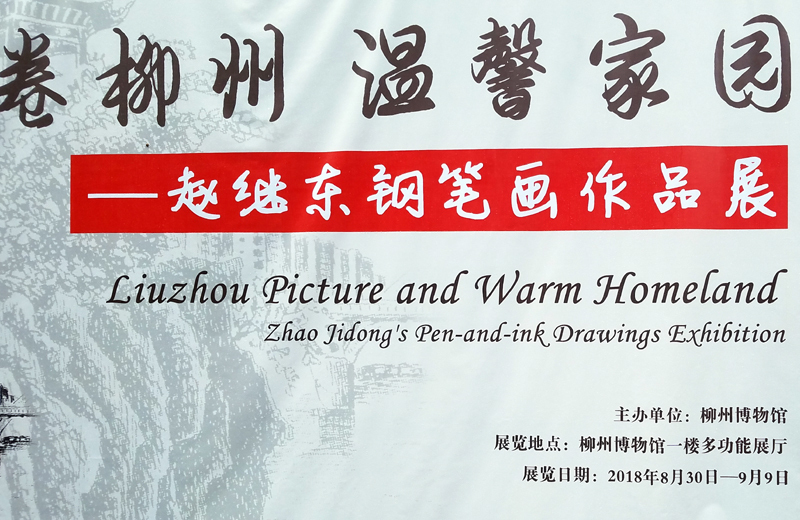 Liuzhou museum is holding yet another of their occasional temporary exhibitions. 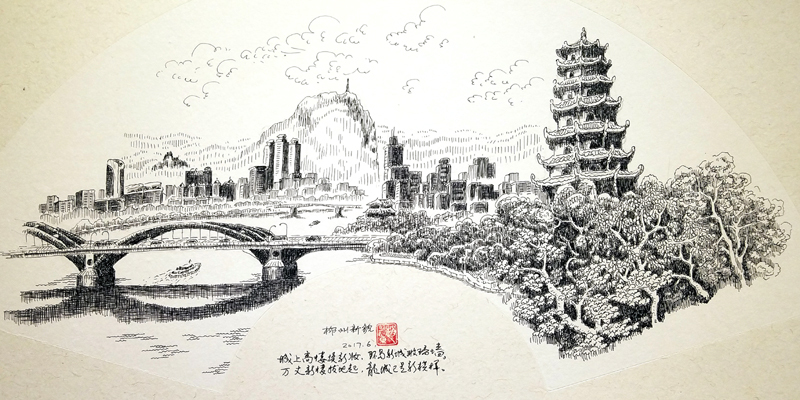 This time we have a large number of pen-and-ink images depicting the city, drawn by local artist, 赵继东. The exhibition runs until September 9th.
. This entry was posted on Wednesday, September 5th, 2018 at 10:51 am	and is filed under Art, Museums. You can follow any responses to this entry through the RSS 2.0 feed. Both comments and pings are currently closed. Is that rhyming slang ? Lovely work! 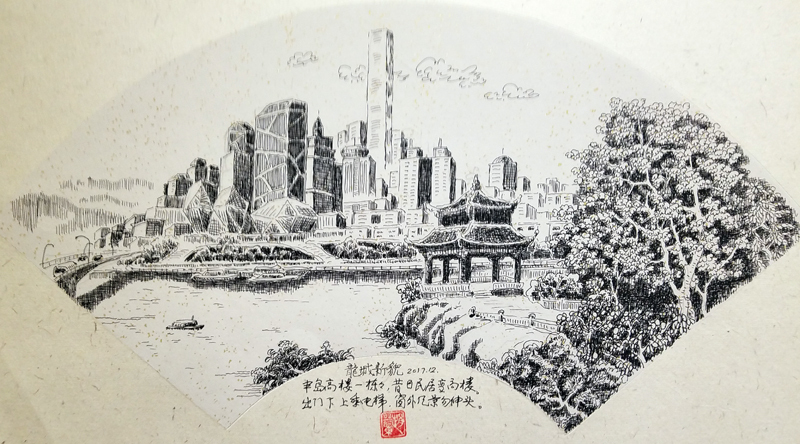 It captures the prettiest landmarks of the city, from my memory.